With government policy changes in the export industry, fresh produce suppliers saw an opportunity to grow and expand into new global markets such as the European Union, Japan and the United States. Their fruit exports include grapes, apples, bananas, pomegranates, mandarins, lemons, peaches, cranberries, blueberries, pineapples, avocados, mangoes, papayas and more. 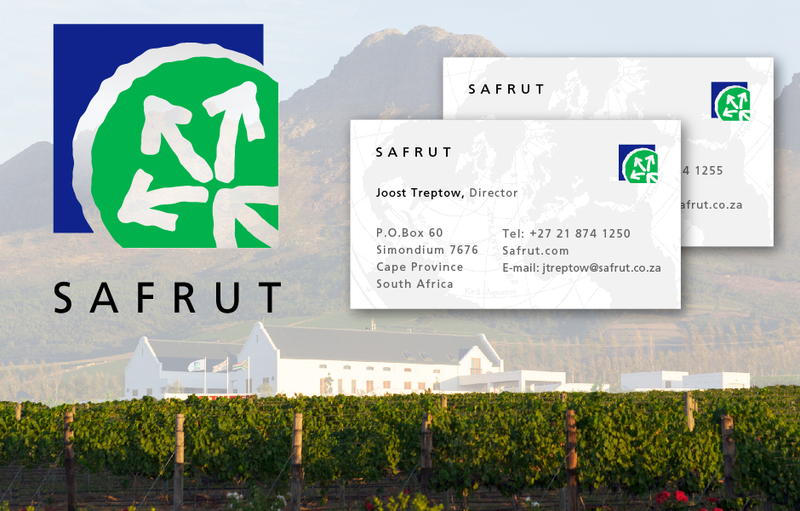 A fresh, dynamic Safrut brand identity was developed by CrossRoads Studios for this exporting venture. The brand’s arrow theme demonstrated the groups ability to move fresh product all over the world. The blue represents water, green growth and South Africa. The Safrut identity expressed confidence, sophistication and global reach.